“Our concerns really are about the long-term integrity of wells and drilling, the possible leakage between the aquifers and having a higher density of wells being built and drilled in the region,” Coonawarra Grape and Wine Incorporated president Pete Balnaves said. 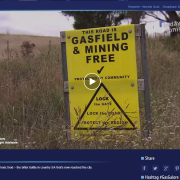 http://www.protectlimestonecoast.org.au/wp-content/uploads/2017/03/gas-galore-today-tonight.png 855 1175 LC Updates http://www.protectlimestonecoast.org.au/wp-content/uploads/2018/02/Logo-1.jpg LC Updates2017-03-28 03:28:162017-03-28 03:37:18Today Tonight - Poisoned farms and toxic food – the bitter battle in country SA that’s now reached the city. The Limestone Coast Protection Alliance commends Premier Weatherill on his plan to make SA independent of the national chaotic energy mess that has caused SA’s energy problems, and the failure of the Federal government to show any leadership in energy matters. We are also pleased about the creation of the $150 million Renewable Technology Fund to make renewable energy available 24 hours a day, seven days a week to power the state when it is needed, with the first project to be Australia’s largest grid-connected battery storage. We believe this fund will inspire innovation amongst entrepreneurs and keep SA at the forefront of renewable energy technology in Australia and perhaps even the world as we have renewable energy companies falling over themselves to invest in SA. However, the plan to build a new, government-owned gas-fired power station at a cost of $350 million is a complete aberration, totally unnecessary and a waste of taxpayer money. With progress made by these renewable energy initiatives we believe it will be an expensive white elephant by the time it is built. If we have grid connected battery storage in place by next December as promised it will not be necessary. The incentives being offered to landholders to allow gas wells on their properties in the form of 10% of the royalties charged to mining companies equates to 1% of the value of the gas extracted and will not find support in the South East. 47 communities have been surveyed in our region, with 96% of respondents opposed to unconventional gas mining in the South East, and these surveys are on-going. The government has no social licence to mine for gas in the South East and these incentives will not change anything. Landholders know the destruction caused by gasfields and for most landholders their land is their superannuation. Water, air and health will be compromised. 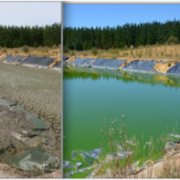 Landholders do not want roadworks, trucks, dust and noise on their properties, or their precious water supplies diverted for the use of mining companies. With gasfields on their properties they will be unable to easily farm and will lose approximately 10.9% of production. There is no insurance available in Australia against personal or property damage caused by gas mining and mining companies do not carry insurance to cover landholders. neighbouring gasfields, will fall as has been witnessed in Queensland and NSW, and may become unsaleable. The short term gain of a small royalty would never compensate for the long term pain of such huge financial loss. 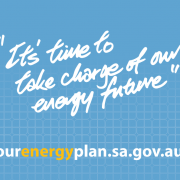 http://www.protectlimestonecoast.org.au/wp-content/uploads/2017/03/energy-plan-1.png 595 714 LC Updates http://www.protectlimestonecoast.org.au/wp-content/uploads/2018/02/Logo-1.jpg LC Updates2017-03-17 03:14:572017-03-17 03:14:57The Limestone Coast Protection Alliance response to the "SA Energy Plan"